Hooked Up truly embraces its contemporary setting, by being the first feature-length horror movie to be recorded entirely on an iPhone. Hooked Up is set for DVD release on April 27th, and is directed by Pablo Larcuen. New Zealand gothic duo, Mina's Veil, create atmospheric and emotive soundscapes etched with the grandeur of the Victorian era. Keller caught up with them to find out what's behind the veil. 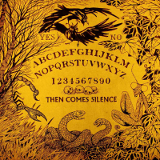 Gothic psych four piece, Then Comes Silence, are back with their third album, 'Nyctophilian'. Fittingly set for release on Friday 13th March, the album is stamped with the Swedish band's hallmark sound. 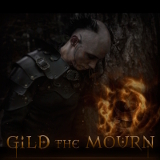 Gothic rock duo, Gild the Mourn, officially formed in 2014, after writing music together for some time. Drawing inspiration from fairytales, they seek to create rich and evocative musical atmospheres. 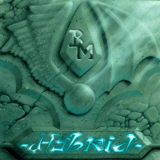 Italian metallers, Bicoloured Men, released their debut album, 'Hybrid', after a long period of instability in the band. Picking up international reviews and airplay, the album proves that they've really found their feet. 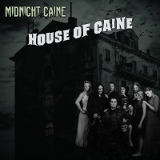 Swedish metal band, Midnight Caine, have unleashed their latest EP, 'The House of Cain'. While access to the inner sanctum is still restricted, the EP gives the impression that they're not hosting tea parties in there.